​Joanne started performing professionally as a child at age 9, when she began doing professional recordings for Shawnee Press and performing in musicals. After performing extensively in high school in both musicals and throughout the country, she performed with the group Recreation full time for two years and toured in 38 states, Canada and Mexico. Recreation travels across the United States and performs for veterans in all of our nation's VA Medical Centers. This group has also performed at Camp David and various schools, State fairs and conventions. She has a Bachelors degree in Music Education with an emphasis in voice from Susquehanna University. She attended graduate school at Arizona State University and received her Master's in Vocal Performance and Pedagogy and is certified to teach K-12 music in PA and AZ. 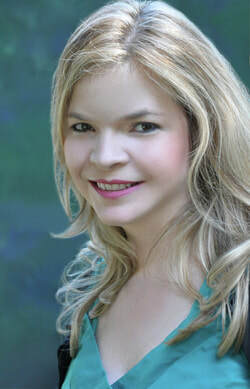 She has numerous additional graduate credits from continued study at Westminster Choir College, Millersville and Berklee College of Music, and continues to attend workshops and classes on vocal techniques, voice care and performance, recently studying with Anne Peckham and Didi Stewart at Berklee College of Music, with classes in Pop and Rock Techniques, and Contemporary Vocal Production. While in Phoenix and New Jersey, Joanne taught in public and private schools, community colleges, and sang for various churches, dinner theatres, equity theatres, and banquets, and with the Phoenix and New jersey Symphonies. Since moving to Lancaster, Joanne has been an active soloist at and a guest soloist at several churches in the region. She has studied and coached with some of the top international voice instructors in the field including Joyce Hall- Manhattan, David Britton, Claudia Kennedy, Richard Miller and Sharon Sweet and has performed internationally in Fiji. As a teacher, she has been hired nationally and overseas to teach to a variety of age groups on topics ranging from Music Theory, Music History, Vocal Pedagogy, Choral Methods and Musical Theatre. Joanne is active as both a solo and choral adjudicator, has worked in both the private and public school settings, and has attended vocal workshops with teachers from all over the world. She has worked at Fulton Theatre as a teaching artist where she is the musical director for the summer Broadway Junior performances and group classes such as the Triple Threat Week. She also has worked at the Dutch Apple, and Hershey Playhouse as a teaching artist. As a singer, she has performed throughout the United States with various singing groups in styles from Classical, Musical Theatre and Contemporary music and has been active in theatre as a choreographer and performer, and has performed choral and solo recital pieces in at least 7 different languages. She has performed as a professional soloist for churches throughout the country, performed with the Phoenix and New Jersey Symphonies, and currently sings for banquets and political events. Along with her husband, Arthur, they founded a ministry organization called Heaven on Earth Ministries and are active in helping churches with all aspects of their Music Ministry programs, from worship services, hiring, musicianship, and administrative needs. They are frequently asked to lead worship in area churches. Currently, she teaches private voice lessons to approximately 100 students from her studio in Lancaster, Pa., where she works with students of all ages and abilities ranging from elementary school students to professional performers. She is one the faculty of Sight and Sound's Conservatory, as the Voice teacher, and Singing for the Stage instructor and as a professor for Eastern Mennonite University. With a passion for teaching, she enjoys adjusting to the individual needs and interests of students and feels that singing is a lifelong endeavor! She lives in Lancaster, PA. Her husband, Arthur, is the Superintendent of the Lebanon School District, and three daughters, ages 23, 21, and 19 all of whom are active musicians, dancers, models and professional performers. I additionally work at the Sight and Sound Theater's Conservatory Program where I teach private voice lessons and acting classes. I am also a professor at Eastern Mennonite University. I teach a general education course entitled Appreciating Music Making. High school students can take this course for dual enrollment credits.